Uzbekistan Airways Technics (UAT), the maintenance provider within Uzbekistan’s national airline, has fully mastered Boeing 787-8 line maintenance and will soon perform its first A-checks on the type. The company provides maintenance for the two aircraft of the type operated by Uzbekistan Airways. The airline took their delivery in August and November 2016. 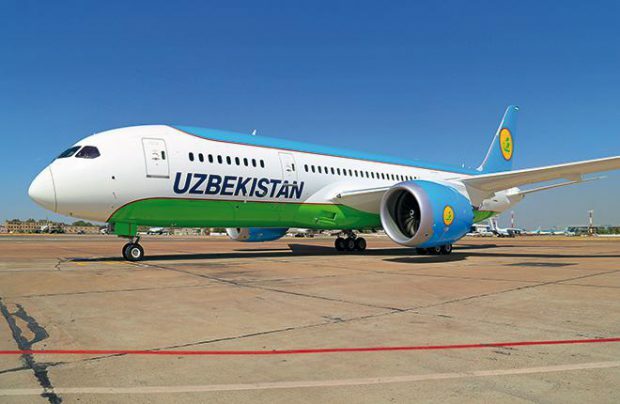 On August 19, Uzbekistan’s State Aviation Oversight authority granted UAT with a maintenance certificate based on the results of the audit it had conducted. Altogether 64 technicians and engineers were trained to maintain the type. After training, 18 specialists were sent on an internship in Baku, the base for Azerbaijan Airlines (AZAL). The Azerbaijani carrier has been operating two Boeing 787-8s since the end of 2014. The internship with Boeing’s personnel included getting instructor rating. This has enabled UAT to train its own staff for 787. When the first of Uzbekistan Airways’ 787-8s arrived at Tashkent, along came Boeing’s technical experts, who assisted the airline in launching the operation of the new type. The OEM’s representatives will stay in Uzbekistan’s capital for the next six months. The OEM also supported the airline in defining the list of necessary equipment and tooling for the maintenance facility. Since 787’s fuselage is made of composites by more than a half, UAT, with Boeing’s support, launched a new facility for composite part and structure repair. The facility, which is unique for Uzbekistan, is equipped with an inert atmosphere furnace for thermal treatment of titanium alloys and a furnace for composite bounding. The state-of-the-art equipment enables the provider to perform repairs of the largest aircraft structures. All personnel received appropriate training in Seattle and Singapore. Throughout 2015 and 2016, Boeing’s electrical system, engine, avionics and software engineers conducted a number of seminars and trainings for UAT’s staff at the provider’s base in Tashkent. UAT’s IT specialists, after relevant training at Boeing, designed the necessary IT-infrastructure for Uzbekistan Airways on the whole, and UAT, in particular. By early November UAT’s staff had fully mastered 787’s line maintenance and are gearing up to perform their first A-checks on the aircraft. There are plans to perform all types of maintenance procedures at UAT’s premises. “We have the qualified staff and the advanced equipment in pace, and the facilities that enable us to perform base maintenance and heavy checks in-house without resorting to third-party providers,” UAT’s representatives emphasized. The most shocking effect was produced by the fact that most of Boeing 787’s maintenance is done through a computer. “There is a multitude of technological processes that do not require a screwdriver or a wrench. Things that were previously checked by unscrewing or dismantling are now controlled by a special software installed on a regular laptop,” UAT’s specialists said. UAT has a long experience of servicing both Western and Soviet era aircraft operated the parent airline. The company is certified for maintenance of Boeing 757 and 767, Airbus А300-600, A310 and A320 family as well as Ilyushin Il-76TD freighters and Il-114 turboprops.